Stress is the number one evil these days. Live under constant pressure, too much work and daily problems minimizes our reserves of vitamins, especially complex B-vitamins which are responsible for maintaining the health of our nervous system. Complex B-vitamins are involved in producing energy; when our body exerts extra energy because of pressure at work, or when we experience emotional stress because of divorce or from receiving bad news, the body exhausts energy reserves and, as a result, vitamin B reserves, which make us vulnerable to suffering depression, insomnia or irritability. To avoid the harmful effects and decreased immunological defenses resulting from stress, it is necessary to consume a diet rich in vitamin B. Dark green vegetables, like broccoli, kelp and spinach, grains and legumes have adequate percentages of complex B-vitamins. Some foods stimulate the functioning of nervous cells, helping the body remain relaxes while others help prevent irritability. Foods that help the body relax include the following: bananas, almonds, wheat germ, brewer’s yeast and sunflower seeds. Alcohol, on the other hand, reduces vitamin B levels in the blood, provoking irritability. Additionally, consuming excessive coffee, sodas and canned foods, and using contraceptives reduces vitamin B levels in the body, provoking aggressiveness, depression, fatigue and insomnia. Complex B-vitamins are formed through various vitamins. Allow of them help nervous cells’ health, improving our quality of life, help keep us alert, relaxed and full of energy. It helps keep us ready to face all the activities that are demanded of a modern life, in a natural manner, avoiding the addictives consequences that some drugs used to avoid depression or irritability can cause. Vitamin B1 (Thiamine) is found in dark vegetables, such as kelp, spinach and arugula, in corn, oats, prunes, walnuts and brewer’s yeast. Symptoms of deficiency: fatigue, weight loss, depression, edema and gastro-intestinal problems. Symptoms of deficiency: cold sores, inflammation of the tongue, irritated eyes, anemia and dermatitis. 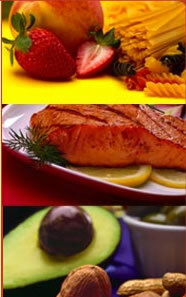 Vitamin B3 (Niacin) is found in red meat, chicken, liver, eggs, salmon, clams, molasses, rice, avocado and seeds. Symptoms of deficiency: cardiovascular disorders, indigestion, weakness and infections. Vitamin B6 (Pyridoxine) is found in red meat, chicken, fish, bananas, green vegetables, tomatoes, grains and walnuts. Symptoms of deficiency: skin lesions, dermatitis, anemia, nervous disorders and weakness. Vitamin B12 (Cobalamin) is found in red meat, liver, egg yolk, crab, sardines, salmon and oysters. Symptoms of deficiency: slow development, inflammation of the tongue, anemia and nervousness. Complex B-vitamins are essential for nervous system health. Deficiency provokes irritability, depression, head aches, anxiety, insomnia and difficulty concentrating. We can also rely on some herbal remedies that have been used since ancient times to maintain nervous system health, such as orange blossom, lime flower tea, lettuce and mint; chamomile and passion fruit are natural medicines for their sedative effect, helping avoid insomnia and regulate the cardiac rhythm. Kava plant is originally from the Fiji islands and has kavalactones, a substance that acts a muscle relaxer and reduces status of anxiety, tension and excitement, inducing a sleep, aleving insomnia and nervousness. Mint is a substance used by Native Americans to avoid disputes and calm the nerves. It reduces tension and helps create a relaxed environment. Chamomile is considered one of the best natural relaxer, helping against hysteria and insomnia. ¿Puede el chocolate alargar la vida?